The DeMeet 3D CNC coordinate measuring machines provide automatic, user-independent quality control with measuring results traceable to the international length standard. The DeMeet measuring machines are available in Video (optical) and Combo model (multi-sensor for combined video and touch probe measurements). The DeMeet multi-sensor measuring machines are an excellent all-in-one alternative to other measuring devices for example a measuring microscope, profile projector and height gauge. With an excellent price-performance ratio the DeMeet measuring machines enable high precision quality control in measuring laboratories as well as on the production floor. Applications of optical and multi-sensor measuring are among others in the precision engineering, medical, plastics and electronics industry. Video and Combo measuring machines for general quality control with a market-matched measuring range. 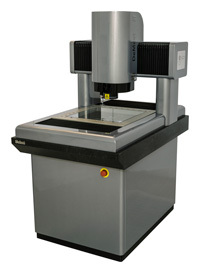 The DeMeet-220 is developed as a personal measuring machine with a desktop design. For the inspection of larger products or for batch measurements the DeMeet-400 series are allround measuring machines, with the DeMeet-705 at the top of the range.